Clint Bajakian is currently working at Pyramind in San Fransisco, but his career has seen him taken him from the likes of Sony Entertainment to LucasArts. With Pyramind’s growing name as a destination for music education and contracted audio work for games and films, getting to chat with Clint about his work and workplace was great opportunity. Hi Clint. Can you tell me about your background and experience in the music industry? I took up guitar in high school, where I met a guy called Michael Land, with whom I became close friends and band-mates. Thanks to a phone call to my parents in 1981 from a liberal arts program at Northwestern University, my dad gave me a shot and supported my study at the New England Conservatory in Boston, where I earned a double degree in classical guitar and music theory in 1987, with a focus on composition. Once I completed of my Masters degree at the University of Michigan in 1991, my old friend Michael Land, who was audio director at LucasFilm Games, gave me a call explaining that the new PC soundcards necessitated several hours of music per title, as opposed to only several minutes up until that time. I took a contracting job at LucasArts in San Rafael, California, and my fiancé and I moved here permanently, embarking on a nine-year career at LucasArts, composing music, designing sound, and working with Michael and Peter McConnell to build out and co-lead the sound department. Working at LucasArts was an adventure in that most games we scored were of the classic adventure genre. Titles like Star Wars: TIE Fighter, Star Wars: Dark Forces, Monkey Island, and Indiana Jones, required a great deal of thought, experimentation and hard work to get right. It was the “wild west” era of game audio, where you gained ten yards using a combination of proprietary and off-the-shelf tools, and lost seven yards to crashes and inefficiencies. And what happened after you departed LucasArts? Also, why did you leave? In 2000, Michael and Peter departed LucasArts to pursue a start-up of their own, and I was appointed director of the sound department. However, only three days later, I resigned, when I realized that the administrative requirements of my new position would likely prohibit me from continuing to be creative. So I founded my own company, CB Studios, that later went on to become Bay Area Sound when I partnered with long time LucasArts veteran and colleague, Julian Kwasneski. In 2004, I approached Chuck Doud, director of the PlayStation music department at E3, seeking to demo for one of his projects. He informed me of a new position he was creating to help revolutionize Sony’s approach to game scoring. Our talks led to me joining Chuck for that position for the next six years, working with an eighteen-person staff. And how did you end up at Pyramind? I wanted return to my core focus of music composition. After nine years at Sony, despite helping to build and manage the music production team and working on blockbuster projects like Uncharted and God of War, it was always the music of other composers. Considering my creative roots, and over a decade of formal conservatory training as a composer, I wanted to make the transition back to composition as my main focus. In 2013, I left join Greg Gordon and the sound team at Pyramind Studios in San Francisco. Since joining, I’ve written different kinds of music, including a portion of Blizzard’s upcoming World of Warcraft: Warlords of Draenor, along with other projects I can’t yet discuss. For those who don’t know, could you fill us in on what kind of institution Pyramind is exactly? Pyramind is a San Francisco-based corporation comprised of two divisions: Pyramind Training, which provides learning for emerging music and audio producers and Pyramind Studios, an award-winning audio production company that specializes in sound and music for AAA and mobile games, as well as interactive technology. Students come from all over the world to study at Pyramind, and Pyramind Studios provides creative services to many of the biggest names in the video game and high tech industries. Can you talk more about how Pyramind Studios differs from Pyramind Training? Does your work cross-over between the Studios and Training departments? Pyramind’s founder, Greg Gordon, and his business partner, Matt Donner, have been refining this model for over ten years now. Pyramind’s facilities occupy two buildings in the heart of SoMa, San Fransisco. The majority of the training operations are run out of the 832 Folsom Street space, which houses a large, multi-seat training lab, event space, recording studio and administrative offices. The other building, 880 Folsom Street, houses our services team, along with composition suites, three studios for music production, sound design and post-production mixing and mastering, including a 7.1 Meyer Sound Cinema Surround System theater and sound stage. One of the most exciting ways the two divisions interrelate is the fact that students come here learn about music production, but right next door we have music professionals doing just that, so Pyramind has a built in real-world example of their field of study. 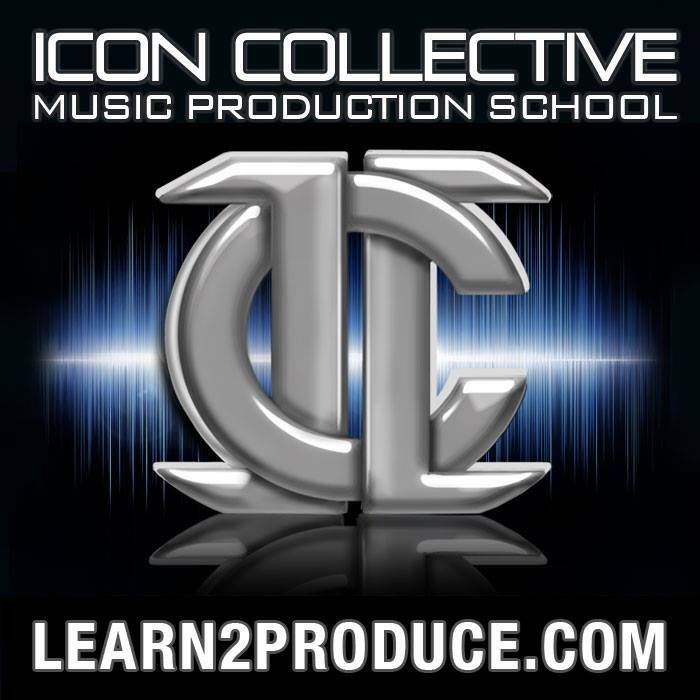 This provides a valuable resource to the students, even ones who’s goal is to develop into a musical artist, as they get access to these professionals and can increase their knowledge through internships or talking to them. What were you hoping to bring to the Pyramind team when you started working there? Was there a particular void that the company was looking for you to fill, given your experience and ability? My 23 years of experience composing and producing was a leading factor in my being welcomed to the Pyramind team. Moreover, I gained a majority of this experience working in-house at leading developers and publishers, giving me an inside track in understanding how developers operate, which is an important thing to understand for a creative services provider like Pyramind. Beyond my game development experience, I’ve been active in many other aspects of the game industry, as a founder and board member of the Game Audio Network Guild for example, and as a frequent lecturer at schools and conferences. I’ve gotten to know many influential people throughout the world of video games, film music and education, which is a strategic plus to the organization. And of course, my creative strength as a composer helps Pyramind deliver great music. Can you tell us a bit about your daily tasks and what kind of routine you have in your work? One of the great things about this line of work is that no two days are ever alike! I work closely with my composition colleague, Jeremy Garren, a composer, sound designer and mixing engineer, at times sharing in scoring projects, and at times working separately. I also work closely with Mike Forst, our production manager, to help set strategy for the several projects we have ongoing. My work with Greg Gordon, president and director of production, has mainly been in music production and business development strategy. Every day, we all communicate with at least a few clients about projects, and we also engage in music composition, sound design and voice-over production. Much of our workflow resembles that of an in-house sound department at an entertainment studio, and part of our mission is to serve as an extension to companies with audio departments, or as the defacto audio department for companies with no internal audio production resources. What does the “Creative Director” part of your job entail? In what way do you have to be creative on an audio team? We’re a fluid team where responsibilities and roles shift a great deal from person to person, as project priorities fluctuate. It’s actually similar to how the teams operated at Sony and LucasArts. The title is really just a combination of two qualities: creativity and seniority. 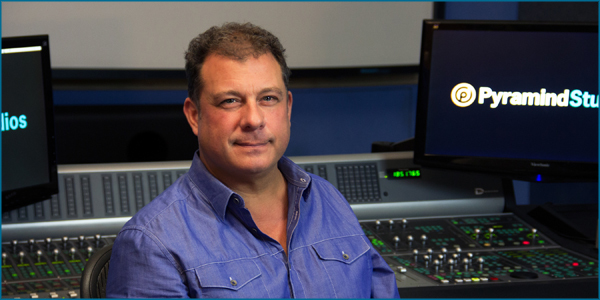 I can help provide leadership and know-how in the field of game audio development. Ultimately though, given how talented and capable everyone is at Pyramind, there’s really no need for me to “direct” them in matters creative – instead we offer each other feedback regularly in the course of our work. Can you tell me a bit about the audio and music infrastructure that Pyramind Studios has at its disposal, and how it’s been used of late for projects? As I mentioned earlier, there are numerous mixing and editing suites at Pyramind, but the main room is “Studio A”. It’s a 1000 square foot control room with a high ceiling, 22-foot projection screen, Avid D-Command desk, lots of outboard gear and a Meyer Sound 7.1 surround system. The room was tuned by master acoustician, Bob Hodas. The recording space s 500 square feet, with a high ceiling and a foley pit – perfect for drums, bands, and smaller chamber ensembles. Recently we recorded several bands, for Microsoft and Insomniac’s game Sunset Overdrive, featuring many original songs that were written by Greg Gordon. Over 150 minutes of original rock and electronic music were produced for that title. All the music I recently composed and contributed to Blizzard’s upcoming title World of Warcraft: Warlords of Draenor was mixed and mastered in Studio A and other mixing suites at Pyramind. We recently recorded a chamber ensemble for Double Fine’s “Broken Age“ in “Studio A”, along with a collection of soloists for the Turkish film, The Antidote. All the mixing and mastering for “Sunset Overdrive” was also done in Studio A. We also have a vocal booth in which a massive amount of voice-over is produced in “Studio B”, for both the video game and high tech industries. What would you say has been your key to longevity in an industry where so many people are struggling to find even freelance work, how much more fixed employment at a studio or company? I’d say steady as she goes, brick by brick. Really, there’s no secret. Do what you love and keep on doing it. It’s about working hard and steady for many years with a commitment to imaginative depth and product quality – and working well with others. Can you share any interesting stories about your past work with LucasArts? Was there anything in particular about working on Star Wars and Indiana Jones games that was special? There’s so much to say on the work we did in the Star Wars universe. Suffice to say, musically, we naturally looked to the music of John Williams. We also learned so much from editing Williams’ film score from the soundtracks, often comprised of hundreds of music clips assembled in real-time as the game unfolded. In sound, we occasionally interacted with sound designer Ben Burtt, especially on The Phantom Menace. As the game was released simultaneous with the film, we needed to gain access to Ben’s sounds as he created them for the film, which was a fun and rewarding collaboration. “Indiana Jones” has a special place in my heart, as my first meeting in the video game industry was with “Indiana Jones and The Fate of Atlantis” director, Hal Barwood. Peter, Michael and I shared the composition on “Fate of Atlantis“. While I loved doing the entire score for “Indiana Jones and The Infernal Machine“, my favorite score was “Indiana Jones and The Emperor’s Tomb“, which I scored in Seattle with the Seattle Sinfonia at Bay Area Sound. I had to leverage almost my entire job fee to hire the orchestra and orchestrator, as LucasArts had a minimal budget for musicians. Something went right, as the score went on to win four G.A.N.G. awards in 2003, including “Music of the Year”. What’s been the most extensive project that you’ve worked on in your time at Pyramind? The choral-orchestral music I scored for “Warlords of Draenor” would be the most significant project I’ve done in the past six months. I contributed 21 minutes of original score and 65 minutes of derived score as a member of the composition team, assembled and led by Blizzard’s Director of Audio, Russell Brower. Can you tell us anything about your current projects and what you’re working on? I’m especially excited about two projects, both of which I can’t say too much about yet. Jeremy Garren and I are sharing a chorus and orchestra score for the first one, which is a fantasy game – probably my favorite genre to write in. The other project is scoring for a famous property that I’ve always loved – I still can’t believe I have the privilege to write music for this iconic universe. So things are exciting for me right now.